Fellow readers of our site. Welcome to Word Jumble Answers, Cheats and Solutions. This is a very popular new game developed by Bitmango which is a well known company for trivia based games. 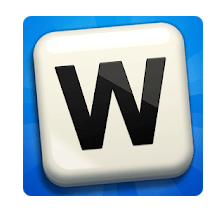 Word Jumble is an unique idea which has merged the scrambled letters board of puzzle and the word guessing. In case you are stuck and are looking for help look no further, our staff has just finished solving all Word Jumble Answers and we have categorized them as shown below. Simply click on any of the categories and you will be redirected to the right solutions. Here you may find all the Word Jumble answers, cheats and solutions categorized as they are in the game. By clicking on any of the links below will open a new page where all the answers are shown! This game is available for Android devices and it will be so for Ios ones. So you can download the game today and start playing it right away! Unfortunately at the moment the game is solely in English but the developers will be definitely adding new languages in the next update. In case you are stuck on a specific level and we haven’t solved it yet then kindly contact us by quoting the level you are stuck and our staff will be more than happy to help you out. Usually our response time is pretty quick since most of our times we are online solving games just for you. Thank you once again for visiting Word Jumble Answers and in case you have finished this game already without our help then kudos to you!